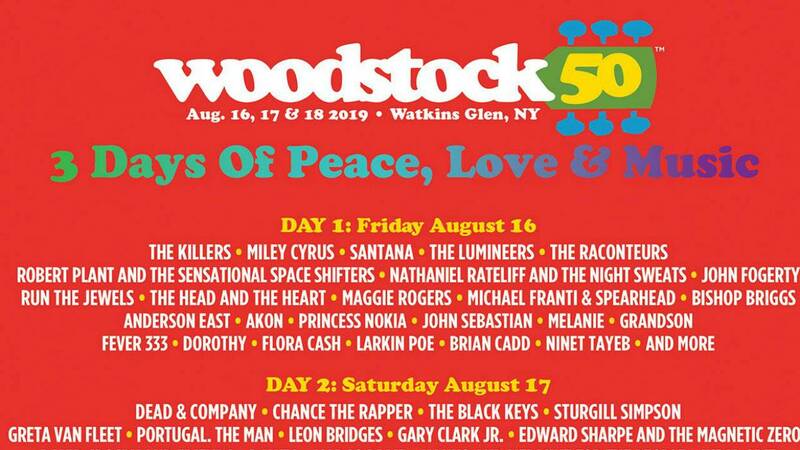 In a much-anticipated announcement, on Tuesday, the lineup for this year’s 50th anniversary celebration of the 1969 Woodstock concert was revealed. The three-day event, held to commemorate the iconic 1969 music festival, will be held from Aug. 16-18 in Watkins Glen, New York. 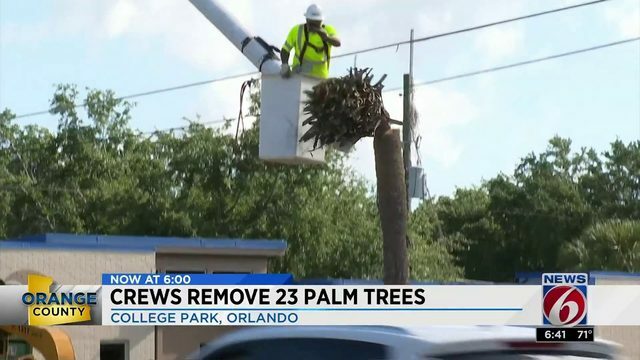 The event will be headlined by Jay-Z, Imagine Dragons, Miley Cyrus, the Black Keys and original 1969 performers such as Santana and Dead & Company, a band consisting of former members of the Grateful Dead. Up-and-coming bands such as Grammy-winner Greta Van Fleet will also perform. Here are the list of scheduled performers on each day. Friday, Aug. 16 - The Killers, Miley Cyrus, The Lumineers, The Raconteurs, Nathaniel Rateliff and The Night Sweats, Run The Jewels, The Head and The Heart, Maggie Rogers, Michael Franti & Spearhead, Bishop Briggs, Anderson East, Akon, Princess Nokia, Grandson, Fever 333, Larkin Poe, Dorothy, Flora Cash, Brian Cadd, Ninet Tayeb. Saturday, Aug. 17 - Chance The Rapper, The Black Keys, Sturgill Simpson, Greta Van Fleet, Portugal. The Man, Leon Bridges, Gary Clark Jr., Edward Sharpe and the Magnetic Zeros, Dawes, Margo Price, Nahko And Medicine For The People, India.Arie, Jade Bird, Rival Sons, Emily King, Soccer Mommy, SiR, Taylor Bennett, Amy Helm, Courtney Hadwin, Pearl, John-Robert, IAMDDB.